Open wide, say “AHHHHH” and let Gary Hill and X depress your tongue with our big… show about movies! 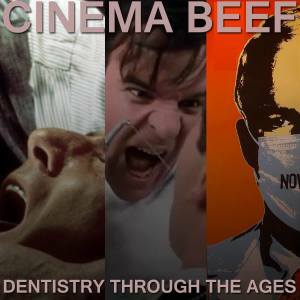 This time on Cinema Beef Podcast, we grin and bear it for Hollywood’s worst dentists. Join us as we discuss “Marathon Man,” “Little Shop of Horrors (1986)” and “Novocaine.” You’ll also get our Beef of the Week and a lot of laughs and foul language along the way. What else did you expect? Brace yourself for this all-new episode of Cinema Beef… it’s got great word of mouth!